Since I’m not good at communication, this forum is closed. But I will continue translating related information about Watamote while I keep this forum closed. I made a summary of the Watamote x Chiba Lotte Marines collaborative event in English. 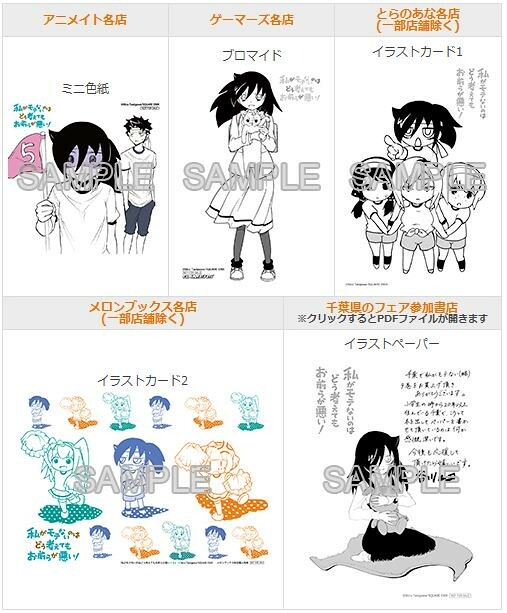 All participants can get a Special Collaboration Flag and a mini leaflet of the Watamote Special Chapter 6. Online sale of the collaborative goods has started! 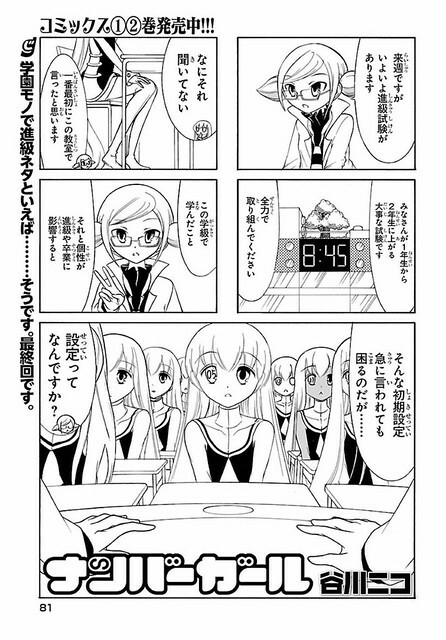 Watamote Web Anthology, Mocomote is released. Mocomote is a web anthology of Watamote that includes lots of fan iilustrations, fan comics and fanfictions by lots of Japanese fans and an overseas fan, Clownboss, a former member of this forum. He explained it in detail on Reddit. But unfortunately, Momoji didn’t join this time. Although it is all in Japanese, you can see lots of wonderful artwork by the artists you guys well know. For example, Radiohead drew NON-LEWD illustrations for a fan fiction. What a surprise! When you read this web anthology and if you have your pixiv account, please post your comment on the pixiv page in simple English. “Wonderful!” or “Very nice!” will do. I think lots of Japanese fans can read longer comments, too. Preview chapter of Tanigawa Nico’s new manga series will appear on Dengeki Daiouji Vol.31 that will come out on March 26th. Baseball Jokes in Special Chapter 6. >The Lotte Marines’ scandal was reported on March 17th, the publication date of the chapter. Motsuni, モツ煮: Simmered organs (pig or cow’s small intestine in general) and vegetables in miso soup. As Tomoko and Yuu rejected, I suppose that lots of women and young people don’t like Motsuni. Kondou the vendor: He is kinda popular among Lotte fans because of his cheeriness and over 20 years dedication as a vendor at QVC. 1. Tanigawa Nico’s interview about the Lotte Marines and predictions of NPB pennant races this year. They predicted the Marines as the third place. 2. Manga selection that baseball and the Marines related chapters. 3. Info about Izumi Kitta’s participation that we already know. 4. Pics of the special collaborative goods. They are Clear File Folders, Key Chains, Scarf Towels, Micro Fiber Mini Towels, Mugs, Ticket Holders and Tapestries. They will sell these goods in the stadium and the Marines’ official online shop from April 8th. 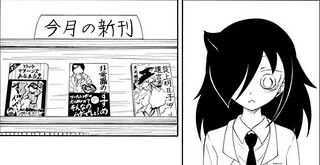 These are bonuses of Watamote volume 9. If you buy a volume 9 at certain stores, you can get a illustrated card respectively. Chapter 93 and the cover art of Vol.9 are out. Some info about the collaboration games with the Marines are announced. Details about original collaboration goods for sale at the Marines shop and its web site will be out on March 17th, along with the next chapter! 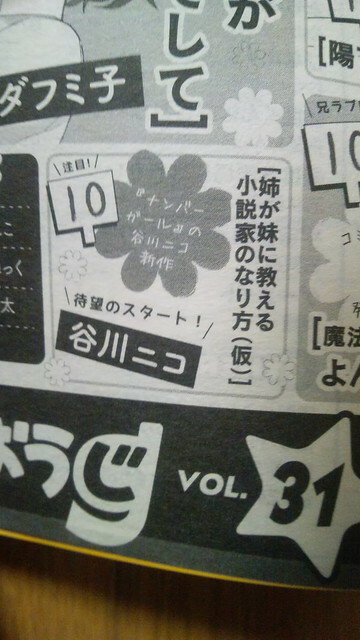 According to an anonymous on 2ch.net, Tanigawa Nico will start a new manga series from Dengeki Daiouji vol.31, the next month issue. Its tentative title is “How to become a novelist that an elder sister teaches her little sister”. No other official info so far. I translated the page about the special collaboration in Chapter 92. 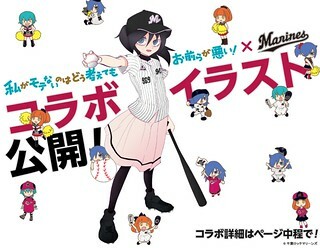 A special collaboration (between the Chiba Lotte Marines and Watamote) has been decided!! Look forward to the next chapter that will come out on March 3rd for more information! 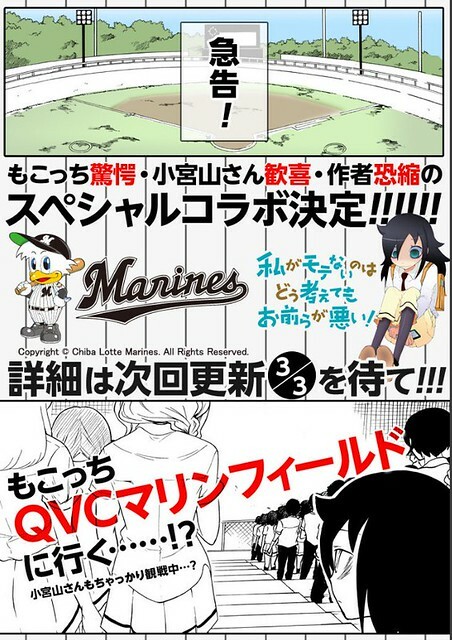 Tomoko goes to QVC Marine Field (the Marine’s home stadium)? Komiyama is shrewdly watching the game, too? On the Marine’s web site, some information is already published. Special collaboration tickets will go on sale for April 8th, 9th and 10th games against the Saitama Seibu Lions. >mfw I’m kinda fan of the Lions. 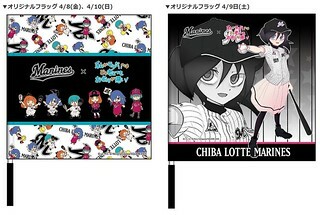 And original collaboration goods will go on sale on April 8th at the Marines shop and its web site. It doesn’t ship outside Japan, though. The Marines has collaborated with anime several times, such as Oreimo and OreGairu, whose locations are in Chiba prefecture as well as Watamote. You can make Tomoko blush and turn pale with it. Happy Lovely New Moko Year! 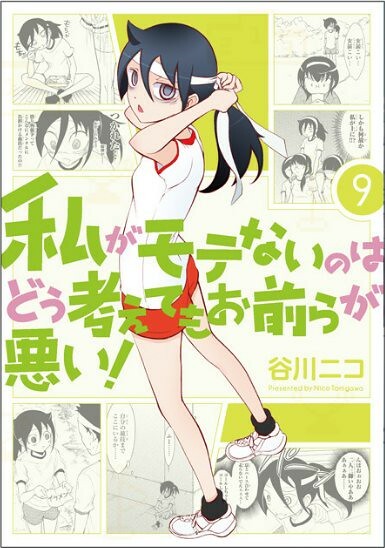 Tanigawa Nico’s new one-shot manga will be published on Gangan Joker in the near future. Check who drew your favorite fan art and their other works! My bookmarks on Pixiv. You have to log-in to see this. New Tomoko Live2D art by @kensosha. It depicts Tomoko’s monologue when she lost her phone in Chapter 89. 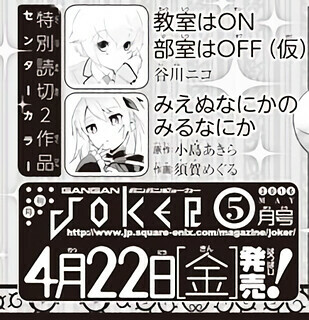 In this month’s issue of Dengeki Daiouji, the end of the serialization of Number Girl, another manga by Tanigawa Nico, has been announced. The third and final volume will come out in March, 2016. No other official info so far. Now You Can Have Tomoko As Your Desktop Mascot! Our dream comes true with “Live2D”, an application that you can animate 2D characters without making a 3D model or drawing frames. A Japanese fan made Tomoko model for Live2D and you can play it with Live2D Viewer. Install and run Live2D Viewer, extract the zip file and open “.moc” file with it. However, Live2D Viewer is just a test tool. If you want to animate Tomoko as you want or to make your own Tomoko model, you have to use Live2D Cubism Editor. Moreover, if you use “FaceRig Live2D Module”, you can make 2D characters mimic your facial expressions via PC camera. In other words, You Can Be Tomoko Now!! I myself don’t well know about these tools and you have to find out how to use them by yourself. 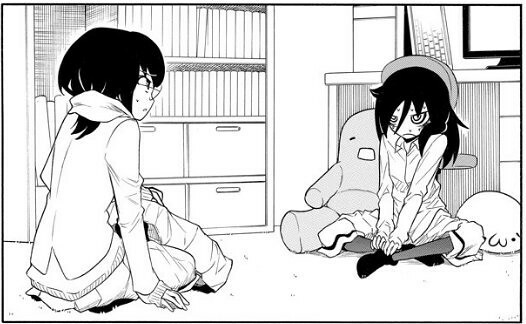 Or, shall we have a Watamote Live2D thread on 8chan /tomoko/ to share info? >Komi visits Tomoko’s house and does a perverted thing. 2 out of 3 books Komi picked for the library are related to Chiba Lotte Marines. I guess one of the authors will or want to go to this event tomorrow. All the family names of Watamote characters come from players or former players of Chiba Lotte Marines. About emigration from this forum. I guess BaGamman is very busy now and it seems emigration to his new forum is not going well. It’s all my fault and I feel terribly sorry about that. However, as I said before, I cannot deal with lots of people here anymore and I won’t reopen this forum. Since I prefer anonymous boards, I’m on 8chan /tomoko/ as an anonymous. Although there are a few people, I made a thread that you can post only simple English sentences to communicate with non-English speakers and I’m inviting Japanese fans from this site. But you cannot access 8chan from Russia due to the government’s internet ban. Another choice is r/watamote on Reddit. There are lots of fans compared to 8chan /tomoko/ and some members of this forum are there, too. I recommend you to join r/watamote if you don’t like anonymous boards. I made a new page for my fellow Moko lovers! Let’s share Watamote fan art with your friends. In this video, there are interviews with Tanigawa Nico’s editor, Watamote anime producer and director and Izumi Kitta.